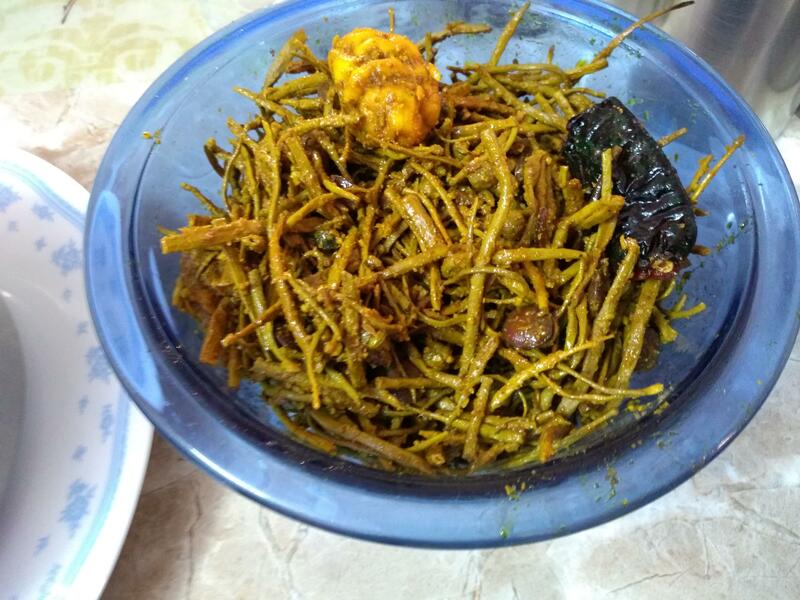 Note from Mamta: On a recent trip to Jaipur, I had this specialist dish, a delicacy of Rajasthan. 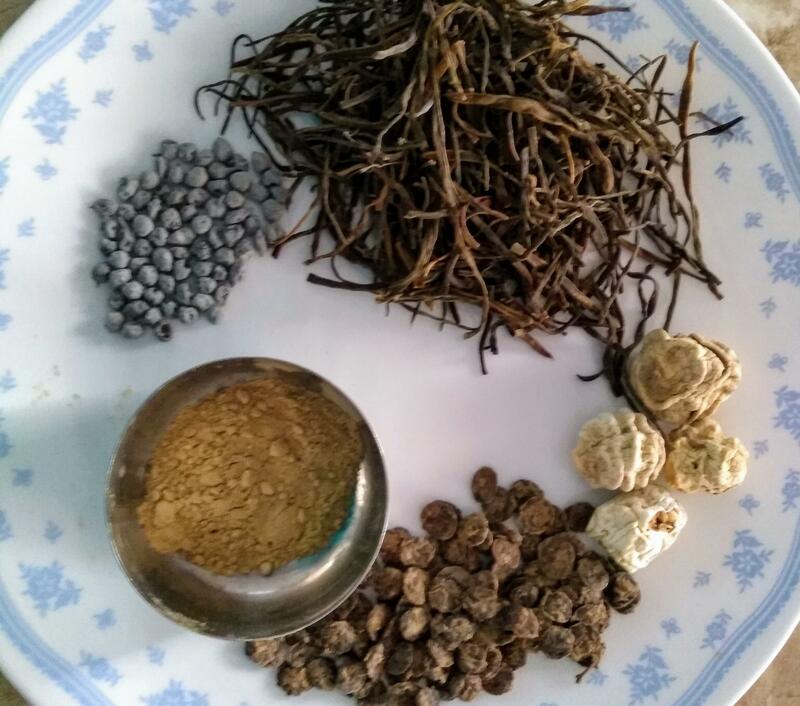 It is made with 5 ingredients, indigenous to Rajasthan desert, see 2nd picture; from top clockwise; Sangri, Kachri, Ker berries, Kumta, Amchoor (mango powder). It is a pickle and eaten in small helpings. 1 tbsp. Mustard oil, use vegetable oil if you don't have it. Place first four ingredients in a bowl and wash them well in water, to remove any dust. Place in a pan, cover with water, bring to boil and simmer for 5 minutes. Drain in a sieve and discard water. Heat oil in a Karachi/wok. Add cumin seeds. Turn heat down and add turmeric, coriander powder, chillies powder, fennel powder and salt. Stir well for 10 seconds or so. Add all drained beans and berries, stir-fry for 4-5 minutes. Serve as part of any Rajasthani main meal.